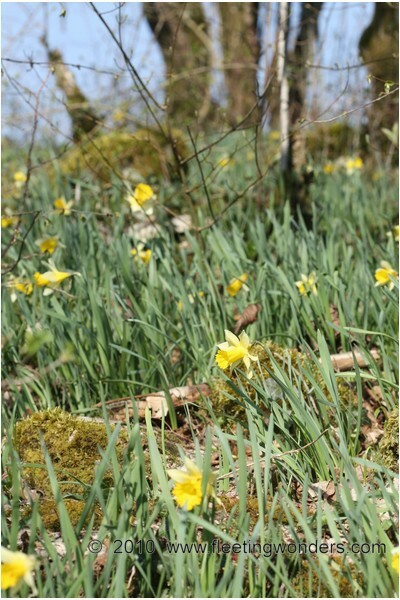 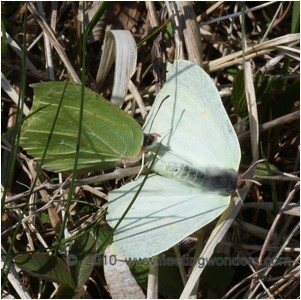 Brimestones (Gonepteryx rhamni) usually overwinter in woodlands from August of the previous year until March ; they restart their activities with the coming of warm days. 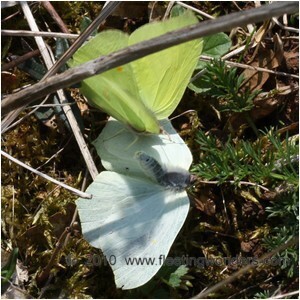 Males are more numerous than females and fly across the woodlands looking for a possible partner. 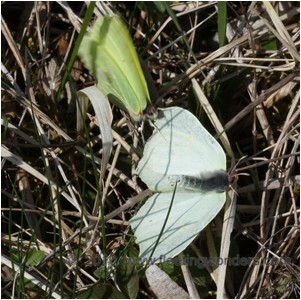 The following set of pictures shows the behaviour of a male (bright yellow) which attempted to seduce a female for a while ; the female was taking off from time to time, chased by the male, then was landing again. 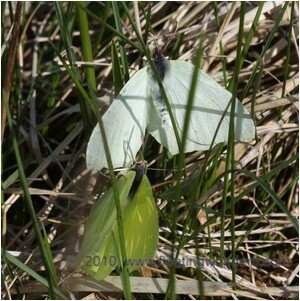 The male was flapping his wings frantically around the female and was climbing onto her wings... 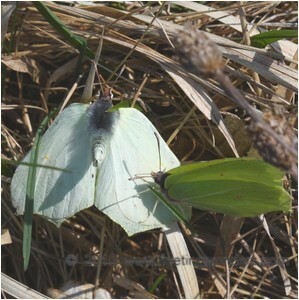 The female drew her abdomen up each time which was certainly a way to tell the male that she was not ready to mate (perhaps by releasing repellant chemicals ?). 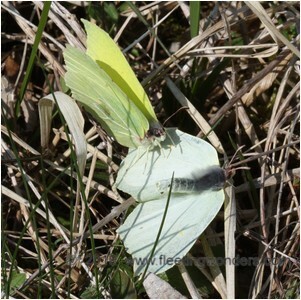 The male finally gave up and flew away. 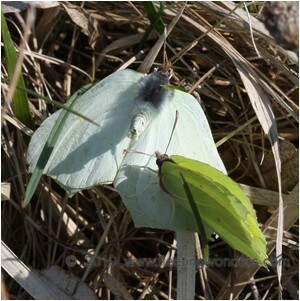 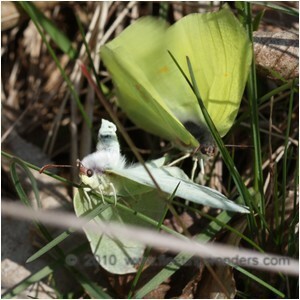 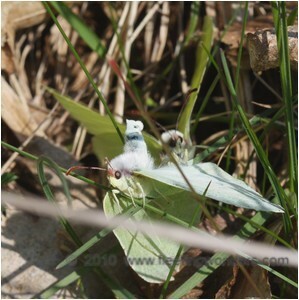 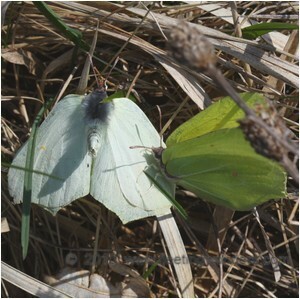 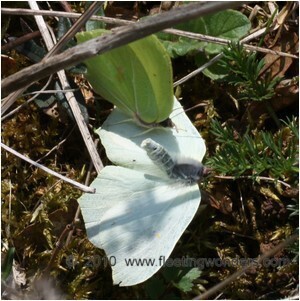 In that species, the courtship is a unique way of seeing the upperside of the butterfly's wing because Brimstones never open their wings at rest otherwise.